CopyCats will help Promote your business with custom silk screen printing, Direct to garment and embroidery on all types of apparel using your logo and business name. From T-shirts and sweat shirts to hats, hooded sweatshirts and jackets, let Copycats custom design and complete your order. We have a wide selection of apparel to choose from or feel free to bring in your own. From design to our free delivery local services, businesses across Rhode Island trust us with their apparel needs. Showcase your brand and name on a sweatshirt or hat with quick turn around. We cater to the to all businesses big or small throughout Rhode Island, South Eastern Massachusetts and Eastern Connecticut. Enormous selection of colors, styles, material and brands to chose from..
You can keep your companies cost down if you have a artwork ready file for the apparel. The only thing you need to do is submit your info on the quote for below. 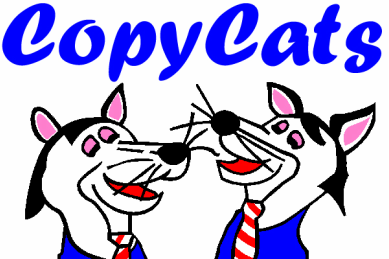 A CopyCats Apparel Specialist will respond to your request within 24 hours. You create it, we'll make it! Hundreds of colors to chose from!